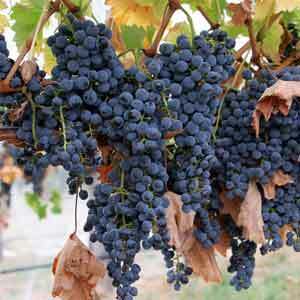 Carménère is an ancient Bordeaux variety, thought to be completely extinct until the mid-1009’s. Tests revealed that many growers in Chile were preserving it, inadvertently, believing the grapes in their vineyards were Merlot! The grapes is now rarely grown in France but it has made a new home in South America where it thrives in Chile’s, producing some of the country’s most distinctive wines. It can also be found in Italy and California. Although it is still often blended with over varieties, there are plenty of delicious single varietal wines produced from Carménère. These tend to be full-bodied and similar to Merlot, but with a greater intensity of dark fruit and a peppery, spicy character. Carménère wine has a deep red colour and aromas found in red fruits, spices and berries. The tannins are gentler and softer than those in Cabernet Sauvignon. Wines made from this grape are best enjoyed young.